Hi there, six year old. 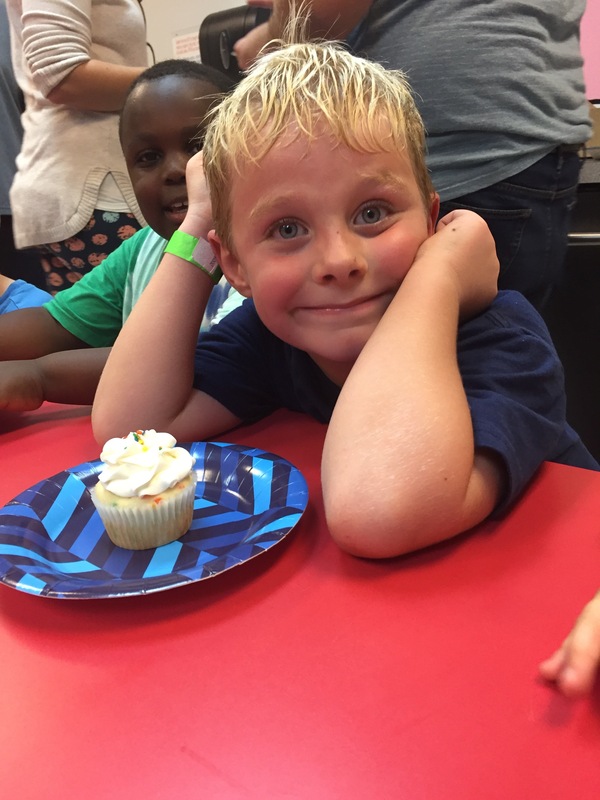 He turned six on October 15, with all of the fanfare and excitement and sugar a six year old can handle. Our house is now overrun with pokemon cards, science experiments, and camping supplies. And the baby I held six years ago… well, he’s observing fly legs under the lens of his new microscope, and outgrowing shoes by the second. He is my first positive preganancy test, my first Mother’s Day, and my first walker, talker, first day of school-er. And now he’s my first big boy. Before I get all dramatic, I realize kids don’t generally stop growing at age 6. He’s got plenty of years to hang around and make his presence very known. But if the first six flew by this quickly, I’m pretty sure I’ll be moving him into a college dorm tomorrow. Excuse me. I need to go weep. 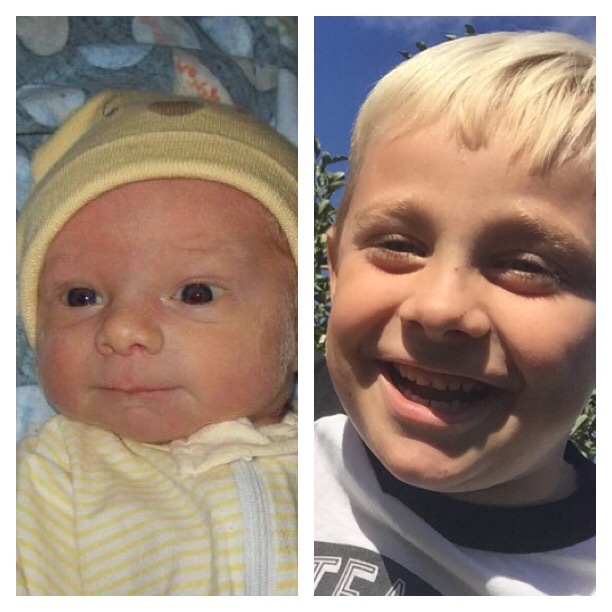 When Boone, my newly minted six year old, was two and a half, we encountered a busy season in our life. In early May, Jason and I learned we were having another baby. In early June, we learned that baby had no heartbeat. Later in June, we bought a new house and moved. Jason started a new job. We adjusted to a new life. I had another positive pregnancy test. Boone turned three. Let me pause for a moment and remind you that I love birthdays. I love my birthday. I love my kid’s birthdays. I love working around a theme, buying crazy overpriced decorations, ordering cupcakes (I love cooking, but hi, I’m not a baker), and generally being a fool about the birthday. It’s your special day! It’s your special month if you choose to take the month (I do)! Let me pause for another moment and say that from the second I saw that third positive pregnancy test before Boone turned three, I was in a panic. We had lost the child associated with the previous pregnancy very unexpectedly. I was burned. I was cautious. I lived each day in a constant state of worry, wondering if walking up the stairs too quickly would negatively affect my delicate state. When I planned for Boone’s third birthday party, though — I forgot those worries. We were doing a Toy Story theme, and if you’ll remember that I LOVE DISNEY, you’ll know this was right up my alley. I bought “toy” props for a photo booth. I made a backdrop of the iconic Toy Story clouds (I cut those clouds by hand). I drafted a menu with cutesy themed names, printed pictures that looked like they came right from the movie, and dressed Boone in a DIY (but impressive, if I say so myself) Woody costume. I was ready to forget about my worries, for just a day, and celebrate the birthday boy. I logged onto facebook the morning of Boone’s birthday, prepared to post an obligatory “IT’S MY BABY’S BIRTHDAY!! !” status update. What I wasn’t prepared for were the many posts about October 15 being Pregnancy and Infant Loss Awareness Day. My one day to not worry became consumed by thoughts of loss. I wanted to celebrate my three year old. I wanted to think, for a day, that maybe this pregnancy wouldn’t end badly. I wanted peace. I wanted joy. I felt sucker punched. For a moment, I felt like unfriending anyone who shared the Pregnancy Loss post. This was MY day! Ok, Boone’s day, but I was the one doing everything! Then I felt like putting up a post of my own, denouncing the Pregnancy and Infant Loss Awareness Day and letting everyone know that it was BOONE’S BIRTHDAY. MOURN ELSEWHERE. I’ll be honest that I did not quickly find the peace I longed for on that first October 15 post-miscarriage. I didn’t want pregnancy loss to have its own day. I wanted everyone to know that it’s just normal and common. I wanted people to know you don’t have to keep your losses quiet until one day (that happened to be my healthy and alive son’s birthday). And I realized that Boone’s special day wasn’t tarnished by the Pregnancy and Infant Loss Awareness Day. Boone was my redemption, the light at the end of the tunnel that was the mourning of the miscarriage. I saw similar posts when Boone turned six, but I didn’t feel attacked. I didn’t want to unfriend or lash out. I wanted to be a voice for my own miscarriage and let others be a voice for their own, whenever they were comfortable doing so. Mamas — if this is you — if you’ve experienced a loss, talk about it. Do it on your own time. Honor the child you lost by giving that child a legacy. Let your family, your friends, or total strangers on the internet know that your child was wanted, loved, grieved. And for the children you have on earth? Let nothing distract you from the joy that celebrates another year of their life. Maybe someday we won’t need a specific day for Pregnancy and Infant Loss Awareness. But until then, I’m ok to share it with my firstborn. Thank You Jenny for sharing your heart. BRAVO! Your blog shared both ends of the pregnancy spectrum. I personally think that speaking out is the best way to heal. I am so proud that you are my niece. You are an awesome mom! Keep up the awesome work!